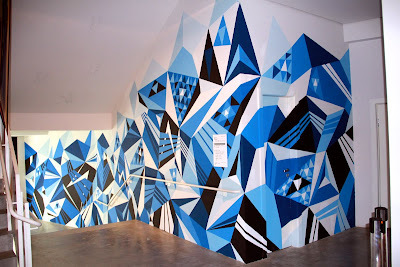 MWM NEWS BLOG: Big Blue Brazil : Mural Process. 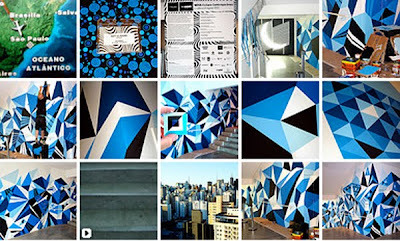 Big Blue Brazil : Mural Process. 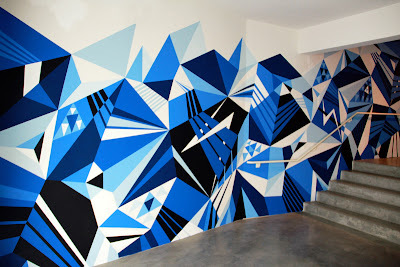 Had a blast on this one! View from the bottom of stairs. Click-Zoom. And here's the view around the corner from the top. Click-Zoom. 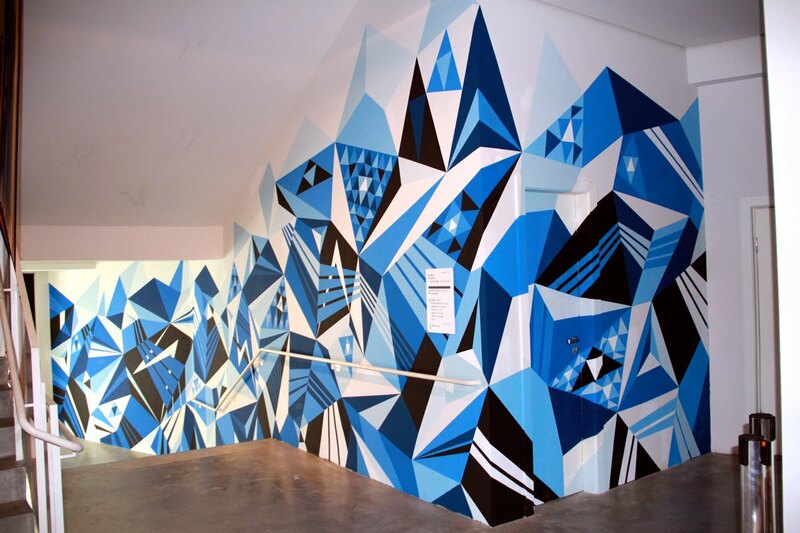 MURAL PROCESS SLIDESHOW. Stay tuned to the ROJO NOVA Website for all current news on this Magical MIS Museum Festival. Good times. Huge honor. Obrigado meus amigos em São Paulo!